Assistance in opening files with V.A.T. Individuals – including calculation of tax for self-employed individuals and filing for refunds based on charitable deductions. You may be eligible to receive a refund of up to 35% of your charitable contributions (generally those with par. 46(a) status) against your Israeli tax paid if you contribute to recognized Israeli charities. Corporations – all services including full bookkeeping, write-up, and audit. Non-profit organizations –including bookkeeping, write-up and audit. 3. Representation before the Israeli Income Tax Authority, V.A.T., and Bituach Leumi in cases of audit, or correspondence received. 4. 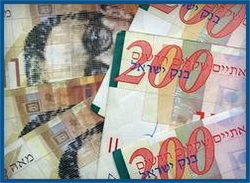 Israeli Tax Amnesty Program: Multi-year projects to complete tax returns for delinquent or non-filers. Israel has also changed its tax regime for reporting foreign (non-Israeli) income from 2003 in addition to the regular tax on Israeli source income and has an amnesty program for taxpayers that have failed to report income earned abroad (e.g. from work or investment income earned in the U.S. or any other foreign country). Proper tax planning and minimization of your taxes requires an analysis of many important issues, including the interplay between the Israeli and U.S. foreign income tax credit rules, the foreign earned income exclusion rules, and also how the applicable provisions of the U.S. – Israel income tax treaty (or with any other country that has an income tax treaty with Israel) affects your tax situation. For your convenience herewith are the 2017 Israeli tax tables.